If there is any one quirk about modern technology that irks me the most, it is probably the underground industry known to the rest of us as phone scammers. This industry is a blight on modern civilization, IMHO, and should be made illegal. But instead, it seems that our elected representatives keep kicking the door open for them to invade our lives. So, what can we do? Well, as it turns out, most of us already have the tools to combat these invaders. The first, and most important, is common sense. If someone calls you up out of the blue and tells you that you are going to get a big gain for nothing, be very suspicious. This is not something that normally happens, and, let’s face it, chances are that you and I are just not special enough for that to happen to us on a regular basis. Once we remember that simple fact, we are on to their game. Don’t offer any more information, and unless they can offer you proof why you are the current golden child in very few moments, hang up. And if their “proof” sounds fantastic, it is. Don’t be a fool for the phone scammers. Speaking of common sense, be hesitant to give anyone and everyone online your phone number. While no doubt most of your dealings will be with quality providers, there is a good rule of thumb to use: If they are giving you something for free, such as a coupon or ebook, they may be wanting something in return. It just might be your active phone number that they want in order to sell later. Don’t encourage their business model. The next tool we all have at our disposal is information. This is power, and the more power we arm ourselves with, the greater chance we have of avoiding the phone scammers. For example, one current crafty trick the phone scammers are using is to ring a phone only once, then hang up. The hope is that the target will call them back, but the number will often have a hefty call charge associated with calling it. In order to mask their numbers, scammers will not only pick numbers close to a toll-free number, but they will also originate the call from another country that has a country code of “1”. In the states, we associate that prefix with a regular long distance call. But that number will also lead you to a scammer base located in another country. 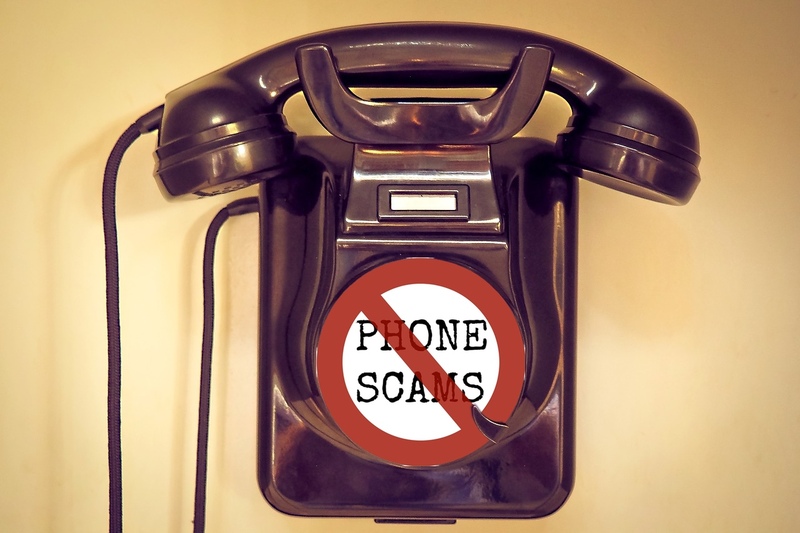 The third tool that I want to talk about today handy for avoiding phone scammers is something that almost all of us have, but may not be using to its full advantage. And even though information will always be our most powerful tool to combat scammers, this one is probably the easiest and most practical for most people. That tool is your voice mail. The idea is a simple one – use your phone voice messages system to weed out unfamiliar calls. If it is important, the calling party should leave a message or at least call back. Most phone scammers will never call back, and usually don’t leave a message. If they do leave you a nice pitch, you have the luxury of listening to it several times and picking it apart with cautionary analysis. This is something that you just don’t have with a cold call. Personally, I find that listening to a message on the second pass with a skeptic mind exposes their scam with crystal clarity. By using these simple tools – common sense, information, and your voice mail, you may find that you are no longer apprehensive about giving your phone number out to a legitimate source. Once you get the upper hand on phone scammers, you may even find that the calls slow down as well. After all, many phone scammers are also in the business of selling numbers, and even talking to them makes you a verified resource for them to resell for a premium. Don’t reward them for taking your time. Be careful out there, okay. Great tips–I don’t answer unidentified calls unless I’m expecting a specific one. There are a lot of attempted scammers out there.